Flying Taxis will be launched by mid-2017 in Dubai. It’s a real-deal now! The Fifth Element i.e the movie which came in 1997 where Bruce Willis was a Cab Driver,and the cab used to fly high above the ground. It all seemed hyper futuristic where it seemed that few decades it would take us to reach. But here we are just after two decades Dubai-the city where you get Gold Coins out of vending machines has just started to reshape the face of the city making it the world’s most advanced place. 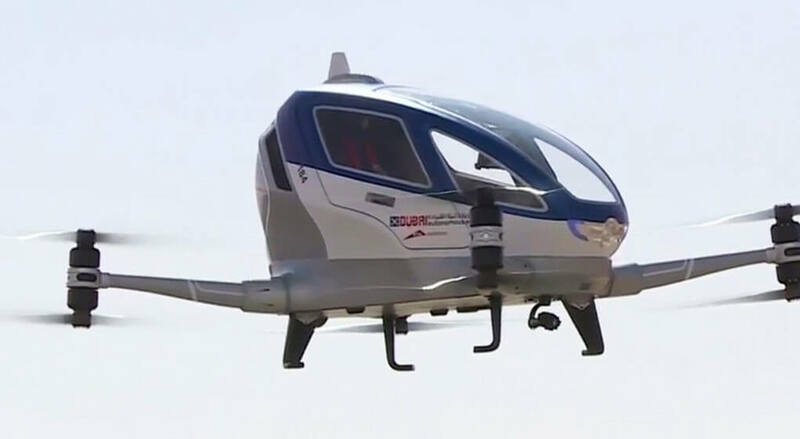 In 2017 Mid it Dubai has planned to launch a horde of Electric Powered Autonomous Flying taxi. 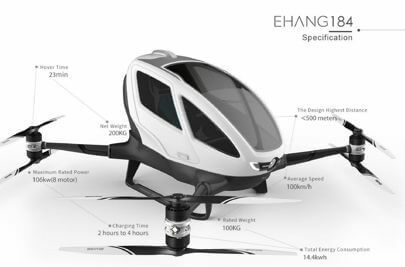 A Chinese company named EHANG has signed a deal to supply dubai with drones which can accommodate two people and can fly at 140Mph with a flying time of 30 mins. 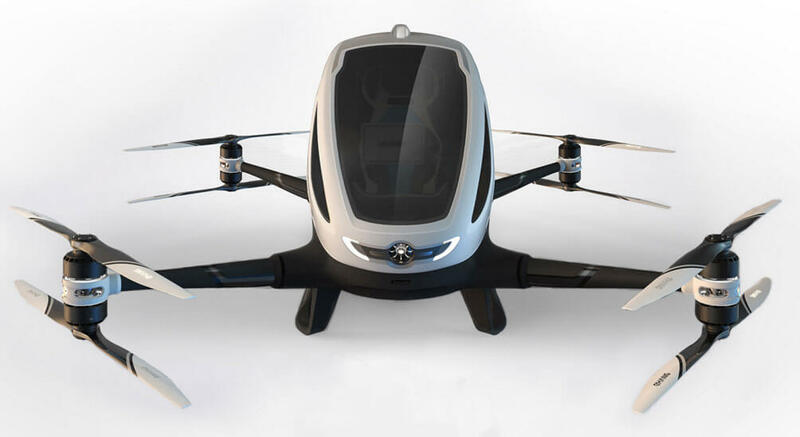 This innovative concept functions just like UBER , you hire a the drone from your mobile app and choose your desired drop point and voila a Drone comes to pick you up.This type of transportation system can provide a huge boon to the developing cities to ease out its ever-growing population on roads. Also traffic can be hugely decreased as the concept gets popularized and it be cost efficient. A recent analysis by a data research company revealed by 2030 60% of the world’s population would live in cities,which is 10% more than today.Recently we viewed some of the biggest traffic stuck up in China during chinese New Year’s eve and also in Sao-Paulo Brazil during the rush hour in 2014 which was record breaking 344kms and these kind of stuck ups costs Brazil $31 Bn Annually.And logistics issues is one of the biggest issue which the Megacities today face and so a parallel and speedy way of Transportation is much awaited and needed. Another company with promising work of Air Logistics is Airbus ;right now working on project “Vahana” its a self pivoted vehicle platform and also cargo transport, the flight tests for it will start by end of 2017;considering the name of the company and the years of expertise in Avionics firm it seems a promising product would be on the way.It has become feasible due to the increased prevalence of technology leading to cheaper electric motors and energy efficient controllers with heavy duty light weight batteries, giving a blossoming start to a new era in Transportation. 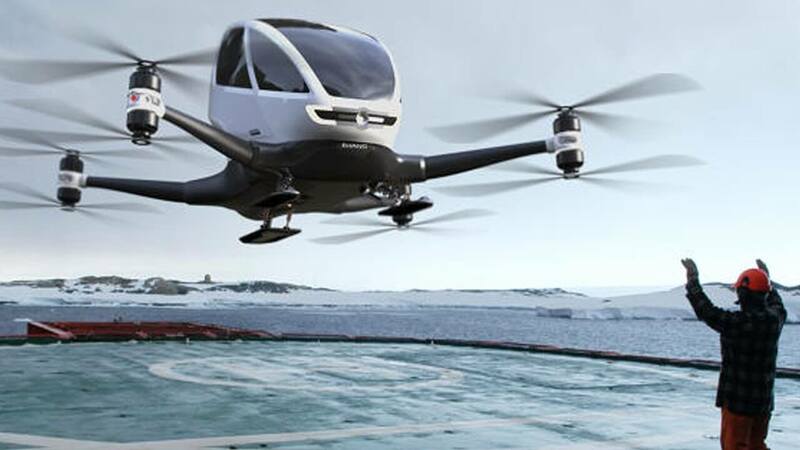 Another bigger picture to this kind of Air Transportation is that Airbus, Uber ,Boeing , Google all are considering the option of developing flying city vehicles and if this idea gets more matured in sometime;then i must say having your own copter for travel won’t be limited to exclusive privileged ones. Share me your views and idea’s about having a aerial taxis in the comment section down below. Traveler, Entrepreneur, Philosopher, Tech lover & loves touring. TWRP V3.1.0 prepares for full Nandroid backup to PC.